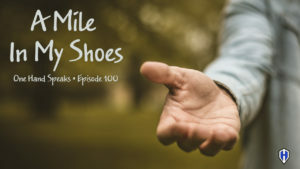 We all know how limiting life can be when we hurt a finger, thumb, or our hands. But when you only have one hand, the smallest injury has the hugest consequences. Especially when it is your only thumb that is injured. This past week I got a large deep cut on the pad of my thumb. I knew as soon as I cut myself it was going to really set me back and limit my capacity. 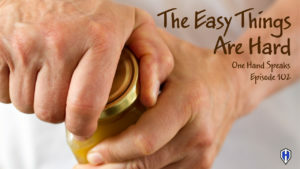 When you live life with one hand, the use of your thumb is worth its weight in gold. I forget at times how much I depend on my thumb. I think maybe I just take having my thumb in healthy and working order for granite. It is not until I injure my thumb I re-realize how much my one-handed life is dependent upon having a thumb in good condition that functions with no pain. 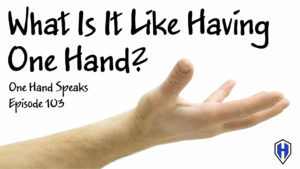 Just to have the ability to grab and hold some object or to manipulate an object is very difficult with a sore thumb. It was difficult to use my smart phone due to my thumb being very sensitive, hard to bend, and covered with a bandage. 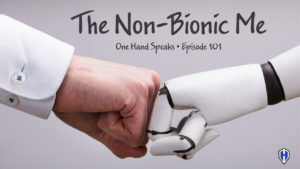 In this podcast I will share some interesting perspectives about having a sore thumb when you do not have another hand to use. When my only thumb is injured I lose much of my ability and capacity. We do not know what we have til it’s gone. Do we really realize how much or how important our thumb is in everyday life? 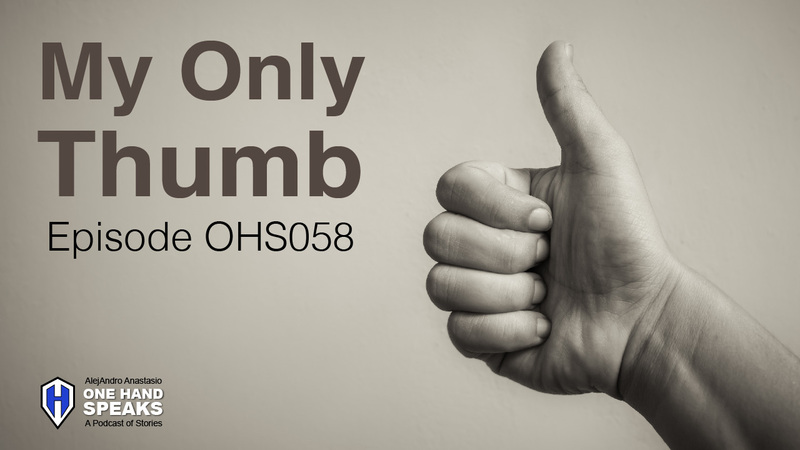 Episode OHS016 – The power of an elbow from a one-handed perspective. A slice of one-handed life.